This March the big thing in Feng Shui is Feng Shui Fertility cures. The desire to procreate never goes away, and everyone knows that Feng Shui Fertility cures work. Our Feng Shui Fertility article has been read and followed by thousands of women all over the world for years. Thank you for continuing to share our advice and we are so happy that you have been so successful. But why, we are asked, is Feng Shui Fertility hot right now? Everyone wants to have a baby when the winter holidays come. Family pressure is very difficult to deal with. You can find all of our Feng Shui Fertility items on our Feng Shui Fertility Page http://www.yourfengshuistore.com/Fertility-Cures_c_9.html . Looking for the article? Expanding Your Family - Fertility and Feng Shui http://www.yourfengshuistore.com/Feng-Shui-Fertility-Article_ep_47.html gives you a lot of Feng Shui Fertility information and suggestions to make your baby dreams come true. If there is darkness in a room, remember that faceted crystals add light where there is none. Hang one today! You can find our Feng Shui Hanging Crystals on our Zen Appeal Feng Shui Crystals page http://www.yourfengshuistore.com/Crystals_c_1.html . March's Feng Shui Tip of the Month is our article called "Take Control of Your Life with Feng Shui" Read this month's Feng Shui Tip of the Month here http://www.yourfengshuistore.com/Tips_ep_58.html . Please stop by every month to read our tip before it goes away and is replaced by next month's tip. Hope you enjoy the Feng Shui Tip of the Month for March and our new tip every month. My bills are always more than my salary and I'm constantly in debt. Mark and Leslie, do you have something that can help me? Thank you for your question. Yes, we have one Feng Shui cure that is perfect for your situation. More than any other cure, our Fast Money Hanger can help you quickly bring money into your life and keep it from going out. You can find our Fast Money Hanger on our Feng Shui Hangers page http://www.bocafengshui.com/hangers.html . Let Zen Appeal help you turn your debt into savings. Zen Appeal has a page dedicated to special sale items, each available for a limited time only. Sale items come and go without warning, so please check the page often and enjoy the big discounts! Here's the link to the Zen Appeal Sale Page http://www.yourfengshuistore.com/On-Sale_c_23.html . Featured Sale Items include - Pocket Buddha, Dragon Headed Tortoise, Painted Royal Elephant, Money Luk Coin Hanger, Angel of Healing, Red Lucky Cat, Pocket Fertility Angel, Bagua Coin, Swarovski Education Hanging Crystal, Kwan Yin Hanger, Money Frog, Bagua Coin Charm on Red Cord Necklace, Large Chinese Coin, Rose Quartz Heart, and more! Some of our most popular items are on sale! Sale Prices starting as low as $.75! Plus special Buy One Get One Free deals. All on our Feng Shui Sale page http://www.yourfengshuistore.com/On-Sale_c_23.html . We have recently added a new feature to our in person Feng Shui Home Consultations and Feng Shui Business Consultations. At the end of your in person Feng Shui Consultation, we will present you with your Feng Shui Seal of Approval Certificate. It is personalized, dated, and suitable for framing. This certificate will verify that your home or business has been assessed by Feng Shui Consultants of Boca Raton http://www.bocafengshui.com/ . Recently some of our popular items have unfortunately been discontinued by our suppliers. We have limited quantities of the following items available: Open to Receive Spray, Creativity Candle, Silk Brocade Handbag, Om Hanger Purple, Large Gold Elephant, White Lucky Cat Money and Happiness, Clearing Anger Spray, White Lucky Cat Happy Business, Protection Spray, Golden Lucky Cat Money and Happiness, Dreams Candle, Feng Shui Dragon Sword, 3-D Dreams Dream Catcher, Healing Feminine Spray, Silver Floating Heart Charm, Swarovski Crystal Heart Necklace with Rose Pendant, Swarovski Crystal Heart Necklace with Aurora Borealis Pendant, Courage Candle, Love Heart Candle by Montserrat and Attraction Heart Candle by Montserrat. Check out our Feng Shui Blog at http://fengshuiconsultation.blogspot.com/ . We have continued to post on our Blog about our site updates. We also post updates when new products are added to Zen Appeal and when both the Zen Appeal Sale Page http://www.yourfengshuistore.com/On-Sale_c_23.html and Feng Shui Tip of the Month http://www.yourfengshuistore.com/Tips_ep_58.html are updated. Currently our Blog has archived newsletters June 2008 - February 2010. Our Blog links to our Zen Appeal Facebook page https://www.facebook.com/zenappeal and Feng Shui Hangout our Facebook group https://www.facebook.com/groups/79497550403/ , where you can comment and ask us questions that we will answer. Please continue to enjoy! Feng Shui Consultants of Boca Raton and Zen Appeal have added a new item at Zen Appeal. We have added the Wealth Hanger to our Zen Appeal Feng Shui Hangers page http://www.bocafengshui.com/hangers.html . 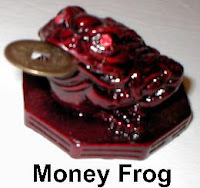 Hang this Feng Shui Wealth Hanger to increase your cash. Feng Shui Consultants of Boca Raton and Zen Appeal have added March's Feng Shui Tip of the Month. Please visit http://www.yourfengshuistore.com/Tips_ep_58.html to read it and find out how you can find your way to Take Control of Your Life with Feng Shui . Many of our clients have experienced issues related to taking control of their lives. This article examines how Feng Shui can help address these issues. Here's the beginning of the article, to get you started: Help me, my life is spinning out of control! That is the refrain we hear from so many of our clients. They wish to be in control of their destiny, in control of their economic situation and in control of their life. Feng Shui can help put you in the driver's seat and help you take control of whatever aspect of your life you feel is not in your own hands. Please visit http://www.yourfengshuistore.com/Tips_ep_58.html to read the rest of the Feng Shui article. When natural disasters occur, like multiple earthquakes around the world, it reminds us that there are some things in life that can be controlled and some that cannot. We cannot control our karmic luck. Whether from past lives, or more instant karmic luck from present life. Since we cannot control it, don't worry about that. We cannot control our random luck. Roll the dice, any number can come up. Since we cannot control it, don't worry about that. What we can control with Feng Shui is Earth Luck. Placement of items and intentions control our Earth Luck. Since we can control one third of our luck using Feng Shui, we better do our best to try! If you want to do all you can to take care of your one third responsibility, come over to Zen Appeal and see how we can help you get the right Feng Shui items for your Feng Shui needs. Make sure to check out all the great deals we have for you at our Feng Shui Sale page http://www.yourfengshuistore.com/On-Sale_c_23.html . At Zen Appeal the March Sale items have been added. We have great prices, just for you, on our Sale page. Some of our new sale items include our Painted Royal Elephant, Red Lucky Cat, Dream Catcher, Angel of Healing, Money Luk Coin Hanger, Dragon Headed Tortoise, and Pocket Buddha. Plus we have some Buy One Get One Free Deals. Please visit our Zen Appeal Feng Shui Product Sale page http://www.yourfengshuistore.com/On-Sale_c_23.html to see all the great deals for yourself. Sale Prices starting as low as $.75! Don't forget, Free Shipping for all orders $50 and over.